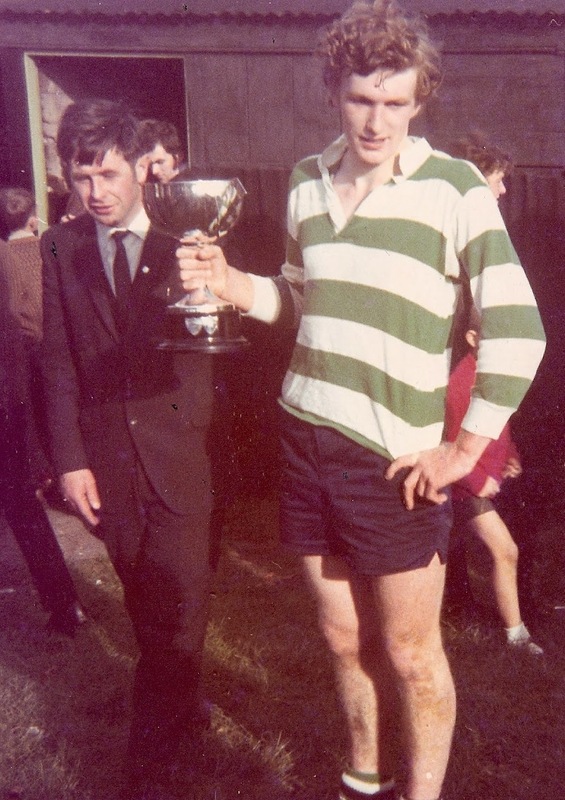 This week's photo shows Tony Mansfield and Michael Hanrahan with the U21 County Football trophy following a low scoring, yet thrilling encounter with Dunhill in Fraher Field in 1971. The final score was 0-5 to 0-3. The team that day was J. Kiely, John Fraher, M. Ó Floinn, J. Kelleher, N. Cashin, M. Fives, Jim Fraher, F. Shields, P. Flynn, M. O'Connor, A. Barron, M. Kiely, D. O'Connor, M. Hanrahan (Capt. ), H. Kelleher. Subs included P. Cashin, R. Hanrahan, E. Cashin, V. Feeney, J. Moloney and J. Beatty. This victory meant back-to-back county titles at the U21 grade.